Tory L. Cooper is the only expert you need to ensure that your wedding day goes without a single hitch. She has an extensive amount of experience with working on VIP events and is certified as one of the best wedding planners in the state, so you can be certain that your special day will be exactly as you always dreamed. Tory has worked with a range of couples, so she is ready to build into the day a whole range of traditions, beliefs and styles. The majority of wedding planning companies in Henderson only provide one kind of event and rarely aim to offer anything else. 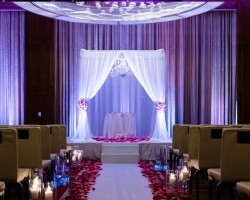 This means that couples who want a unique event will find it difficult to get the professional that understands their vision. Brit Bertino is the answer to what these couples need. She is not only a talented and experienced event organizer but she has worked on a range of celebrity parties and has one of the most comprehensive lists of contacts in Nevada. The lead planner at Style My Event is Bri and she is the key to having the wedding that you have always dreamed of having. 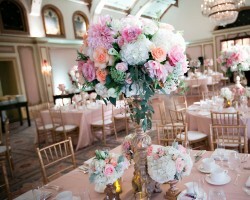 She works with each client to create a checklist of the most important details and then builds the ceremony and reception party around these points. Bri has worked with couples from around the world so she is able to cater for both those travelling to the local area for a destination wedding and the residents of Henderson. 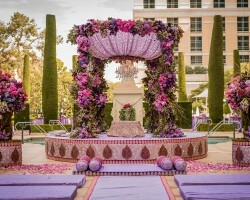 GOH Time Events understands that it can be difficult to choose a wedding planner in Henderson, NV, especially as most are promising the same results without providing any evidence of this claim. This is why the team at this company proudly displays all of the reviews from previous clients and their multiple WeddingWire awards. They are able to tailor their packages to your precise needs, whether that means you want these experts to find you the best deals on the top local vendors or you want a coordinator for when the big day arrives. When you hire the services of Green Orchid you will be provided assistance from Angelica McDonnell, the lead coordinator, and her team of talented organizers. Unlike the majority of Henderson wedding planners, the team at Green Orchid really listens to the couples that they work with and aim to provide them with exactly what they are looking for. This means that you will be able to honestly say what you would like to spend and your wedding consultant will do everything to make your day incredibly special whilst also staying on budget.